Mangaluru, Aug 11,2017: Karnataka State Council for Science and Technology and NMAM Institute of Technology will conduct a seminar and an exhibition of Student Project Programmes on the college premises in Nitte, Karkala taluk, today and tomorrow, August 11 and 12. 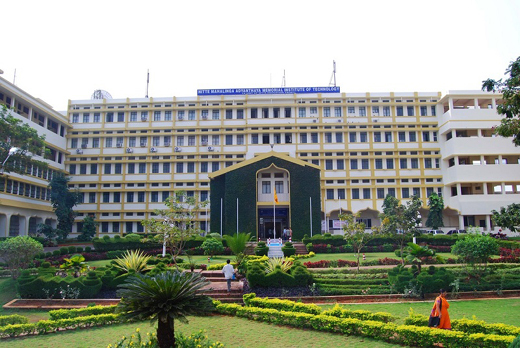 NMAMIT Principal Dr Niranjan N Chiplunkar said on Thursday that the programme is the 40th in the series of seminar and Exhibition of Student Project Programme, conducted by the Karnataka State Council for Science and Technology. The programme will be inaugurated by NITK Director Prof Karanam Uma Maheshwar Rao at ’Sadananda’, the open auditorium of the college on August 11 at 10.30 am. Karnataka Council for Technological Up-gradation Managing Director Anil Uppin will be the chief guest. Karnataka State Bio energy Development Board Chairman Prof Basavaraj Ramnal and Karnataka State Council for Science and Technology Secretary Prof S Subramanian will be the guests of honour and Nitte University chancellor N Vinay Hegde will preside over the programme. The valedictory programme will be held on August 12 at 3 pm. Youth Empowerment, Sports and Fisheries Minister Pramod Madhwaraj will be the chief guest. Nitte Education Trust trustee N Vishal Hegde will preside over the programme. NMAM Institute of Technology Biofuel Cell principal scientific officer S N Sondur said that about 278 engineering projects, comprising 165 projects for exhibition and 113 projects for seminar category, have been selected other than 54 bio fuel projects to be showcased at NMAM Institute of Technology, Nitte. As many as 1,000 students and 350 faculty, representing 332 projects sponsored by Karnataka State Council for Science and Technology, will take part.